A contemporary frame with a sharply beveled 1" wide profile, the Blick Tempo frame complements your artwork or photos beautifully. It measures 1-3/8" deep. 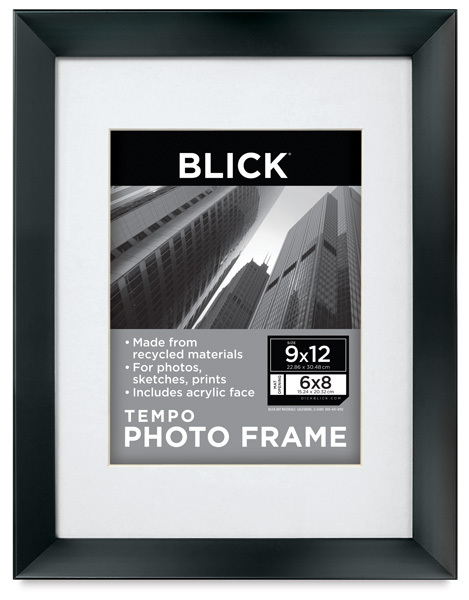 This polystyrene frame features a smooth black finish, and includes a white, pH-neutral, bevel-cut mat, plus a styrene face and back hanger.